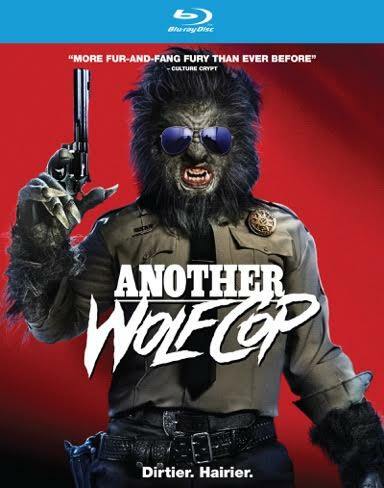 RLJE Films (NASDAQ: RLJE) will release the horror, comedy film ANOTHER WOLFCOP on DVD, Blu-ray and Digital Video on July 3, 2018. ANOTHER WOLCOP is the highly anticipated sequel to the cult classic WOLFCOP. Written and directed by Lowell Dean (WolfCop), ANOTHER WOLFCOP stars Leo Fafard (WolfCop), Yannick Bisson (“Murdoch Mysteries”), Amy Matysio (“Epic Studios”), Jonathan Cherry (Goon: Last of the Enforcers), Serena Miller (Separation Anxiety) and Kevin Smith (Clerks). RLJE Films will release ANOTHER WOLFCOP on DVD for an SRP of $27.97 and on Blu-ray for an SRP of $29.97. The ANOTHER WOLFCOP DVD and Blu-ray includes the bonus features “The Making of Another WolfCop,” “Friends and Foes: Meet the Cast,” “The Monster Shop: Special FX,” “Shoot or Die! Surviving On Set,” and “Barn Burner” music video by Shooting Guns.